beverages and light bites at one of Central Indiana’s premier creative settings. the camera and Tiffani helping the ladies pose and William helping the men pose. 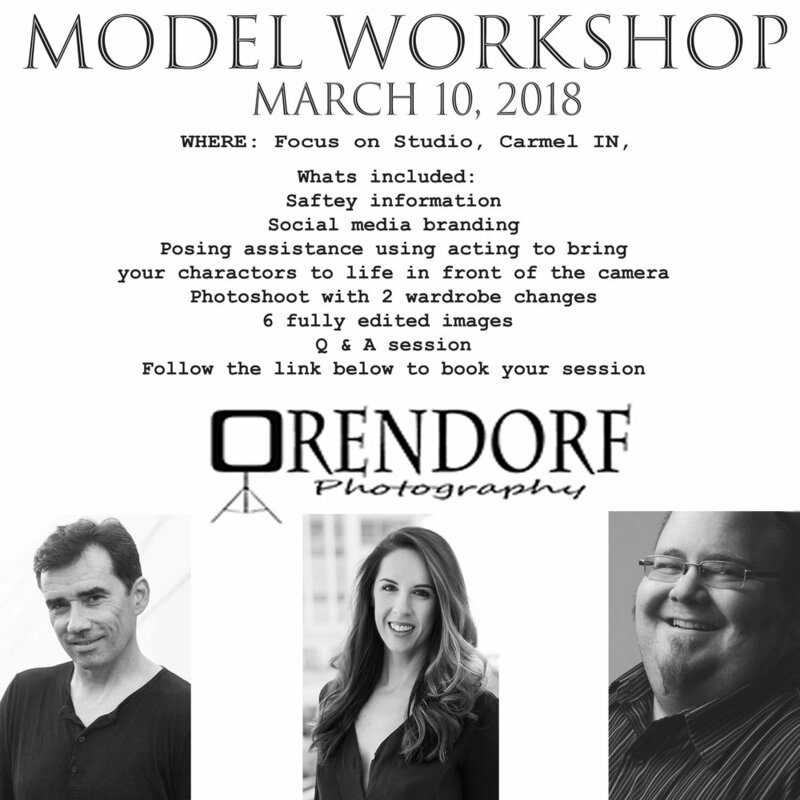 To book your time slot, click on the buy now button below, the 4 hour session is $150 with a non refundable deposit of $75 due upon booking and the remaining $75 is due on March 10th at the start of your master class. Sherman Orendorf Tiffani Hilton and William Willet by clicking on our names.